Robert A. Higgins was an American football player and coach. 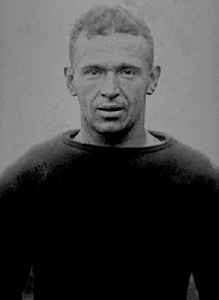 He played college football at Pennsylvania State University, where he was a three-time All-America, and then with professionally with the Canton Bulldogs in 1920 and 1921. Higgins served as the head football coach at West Virginia Wesleyan College, Washington University in St. Louis (1925–1927), and Pennsylvania State University, compiling a career college football record of 123–83–16. He was inducted into the College Football Hall of Fame as a coach in 1954.